RailTower™ is an RTS (Rail & Tracking Systems, GmbH.) created system that combines a 12' tower with a fully robotic tracking system. This system boasts incredibly smooth on-air moves at fast speeds, while utilizing the full range of the lens. It is unlike any other system on the market, allowing us to always use the full range of a standard zoom lens, even while the track/tower are simultaneously moving. 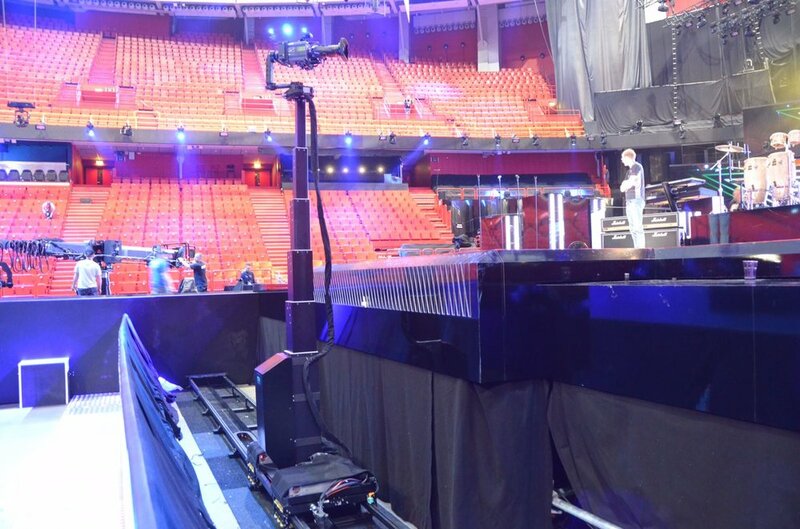 RailTower™ can accommodate nearly any camera package using either a small stabilized head or a 2 axis remote head.